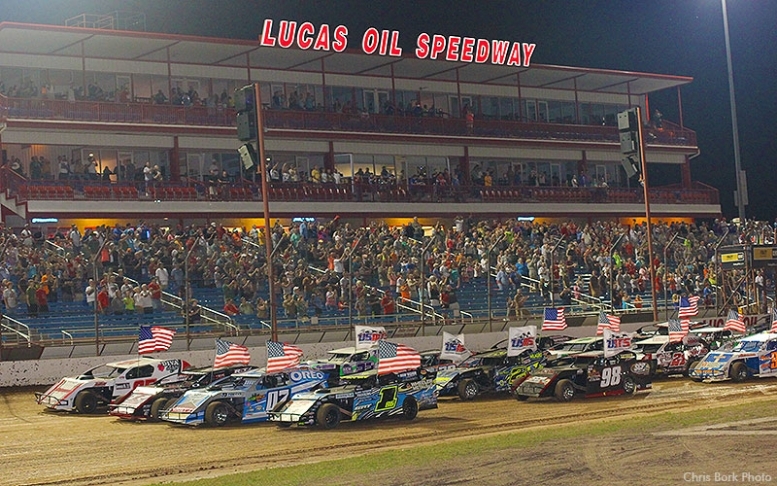 The 26th Annual Lucas Oil Show-Me 100 Presented by ProtectTheHarvest.com returns to Lucas Oil Speedway for the 26th running of the event. Bobby Pierce charged to the win in 2017 for his first ever Show-Me 100 victory. Ray Cook captured the inaugural edition of the premier event held at Lucas Oil Speedway in 2010, while Newport, Tennessee's Jimmy Owens, scored Show-Me 100 wins in 2011, 2012, 2013, and 2016. Martinsville, Indiana’s Don O’Neal won in 2014. Blairsville, Georgia’s Jonathan Davenport captured the 2015 edition of the event. This is surely one you won't want to miss! 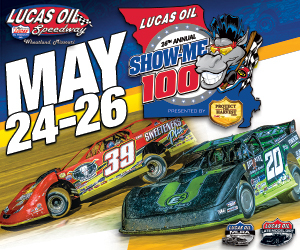 This Crown Jewel Event features the Lucas Oil Late Model Dirt Series (LOLMDS) and the Lucas Oil MLRA battling for 100 Laps and a $30,000 to win top prize.